Home /PPC » What is a good PPC REPORT? There is usually a lot of talk on SEM news sites and forums about the type of data available from the PPC engines; the metrics seem nearly endless. Stats are available on CTR, CPC, conversion rate, conversion rate by position, data by network (display vs. search vs. retargeting vs. social PPC, etc. ), Google Analytics or other web analytics data… The list goes on. But few people seem to discuss how and what data should be presented. While PPC pros know what those numbers represent, even a seasoned professional will have a hard time deciding whether the numbers are “good” or “bad” without context – What happened before this time frame? What’s typical for this time of year? What is the goal of this PPC campaign? Are the numbers up, down, or sideways? Why are the numbers up, down, or sideways? What the heck does this mean, anyway? A good PPC report relies less on the numbers themselves, and more on why the numbers are meaningful. What insight can be drawn from this data? Are key metrics following normal seasonal trends, or is something off the mark? If something’s off the mark, why? Did you run a particularly successful ad copy test? Was there something in the news that spiked click-throughs, but didn’t drive conversions? A surprising number of PPC campaigns are launched every day before campaign goals are defined. When I see a campaign with a mish-mash of keywords, the home page as the landing page, and no conversion tracking, I can be pretty confident the campaign has no goal. 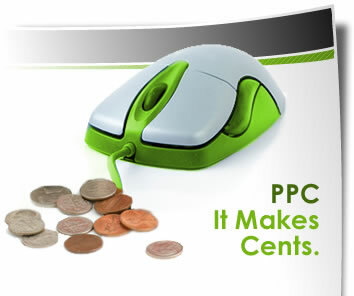 To that end, a good PPC report should include a statement defining the campaign goals, and whether they were achieved. Is there a target cost per conversion you’re trying to reach? Are there certain products on which you were trying to increase sales this month? Did you launch a campaign with new and different goals? PPC generates so much data that it’s easy to get lost in the weeds looking at “interesting” statistics. But just because something’s interesting doesn’t mean that it’s important. In many ways, PPC reports are kind of like looking in the rear-view mirror, reviewing what’s already happened. But that doesn’t mean the report should only reflect history. A good PPC report should include recommendations and plans forward, so the client or boss knows what will happen next. In fact, the recommendations should form the basis of any conversations that come out of the report: the dialogue should be centered on next steps in the optimisation process.